The Big Wobble: Billions of extra mosquitoes blown into Miami by storms during mosquito season making conditions almost unbearable. 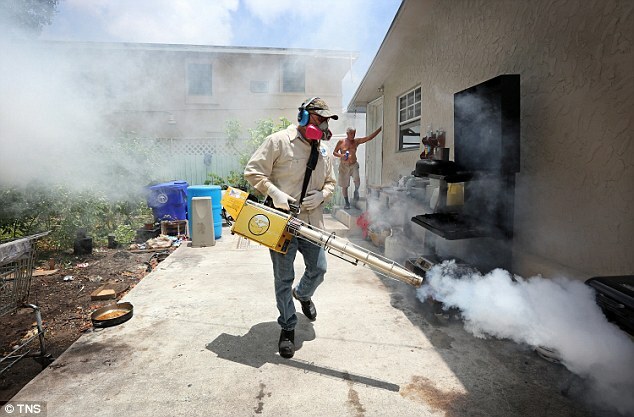 Billions of extra mosquitoes blown into Miami by storms during mosquito season making conditions almost unbearable. Miami is having to deal with billions of extra mosquitoes which have blown in from the Everglades by recent storms. And as this is Miami's mosquito season an extra billions makes conditions right now almost unbearable. Broward Mosquito Control says billions of salt marsh mosquitoes were blown in from the Everglades by recent storms. “It’s a tremendous number of mosquito right now. People are claiming it's the most mosquitoes they have ever seen. Broward Mosquito Control claim the have received more than a 1,000 calls per day from people who require spraying near their homes. At the same time, both counties are working on Zika prevention. Zika 101: Prevent Spread By Protecting Yourself Broward Mosquito Control is applying for a patent for its newest method. They’ve created a nozzle that makes the spray droplets so small that it spreads further and uses half as much product. “We were able to redesign it to get the droplet size so small that it shoots up in the air and it gets into people’s back yards,” explained Ton. “It’s lite enough, it’s small enough, that the wind will take care of the rest.” Click here for more information on the Zika virus or here for more Zika-related stories, claims CBS Miami.